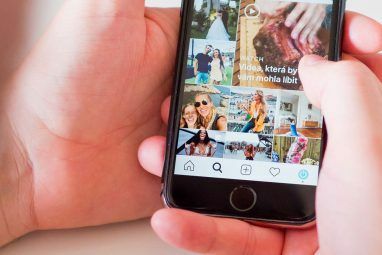 If you’re not sure where to start, check out these 11 services that can turn Instagram photos into anything from a handpainted work of art to an edible marshmallow. Origrami offers several products to choose from, and while the name had us hoping for some origami related products, alas Origrami is just about sets of prints. Each set comes in a beautifully designed box that will make a great gift. Retrocards: You get 18 matte greeting cards that are 3.7″ x 4.5″ with envelopes. You can customize the inner color of the blank greeting card. Mini Magnets: You get nine five-centimeter (1.96 inches) square magnetic matte photo prints packaged in a vintage camera kraft-card folder. Origrami is based in Australia but offers free worldwide shipping on all items. You can see their products in the wild on Instagram by checking out the tag, #Origrami. In a nutshell: Several kinds of prints in a box. Free international shipping from Australia. Using Coastermatic, you can create your own set of four stone coasters with up to four different photos for the set. At the time of writing, the set of four coasters was available for $39, down from the regular price of $49. (You can also order just two coasters for $19 but will have to upload the photos directly to the site.) The coasters are 4.25″ in diameter and 3/8″ thick. Coastermatic offers free shipping in the US, while international shipping for a set of four coasters will cost $24 worldwide. If you’re ordering a Christmas present, you’ll want to place your order by December 3 for international orders and December 17 for US orders. In a nutshell: A set of four stone coasters. Ships from the US. Prints and magnets are so 2016. You can get even more creative with your Instagram gifts this year with Boomf. The UK-based service prints your Instagram photos on… marshmallows. Yes, you heard that right. For £13.99 per box, you can have your own yummy set of nine completely edible printed square vanilla or strawberry marshmallows. If you or your friends aren’t fans of marshmallows, you can opt for putting your photos on chocolate instead. You may feel bad about having people eat your photos, but you’ll get over it. Boomf also throws in personalized gift wrapping $7 or predesigned gift wrapping for $5. Boomf ships marshmallow and chocolate products internationally for £1.99 (€2.25; $2.60). It will take one to three days to arrive in the UK, three to seven days in Europe, and five to 15 days worldwide. In a nutshell: Box of nine printed marshmallows. $2.60 shipping from the UK. Pixelist takes a novel approach by hand-painting your Instagram photos. For $149 you can get a handpainted oil painting of your (or a friend’s) Instagram photo, making it an extremely unique and gorgeously made gift. If this is something you’re planning on gifting this year, you may have to give the promise of the painting rather than they physical painting itself. The process takes four to six weeks from order to delivery, and shipping is free. Painting sizes range from 12x 12″ to 30×30″ for square dimensions. You can also get a larger painting at 30×40″. The larger paintings are understandably pricey, costing up to $739. In a nutshell: Oil paintings shipped from the US worldwide for free. Previously called Prinstagram, Social Print Studio is like the mothership of Instagram prints. 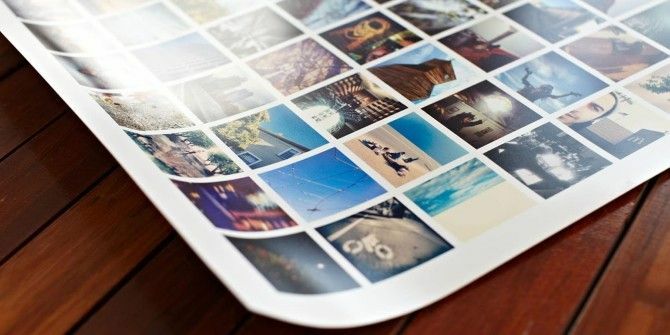 If there’s something you wish you could print your photos on and couldn’t find until now, you’ll probably find it here. Social Print Studio offers prints on wood, metal, canvas, paper, magnets, and stickers. You can go for square prints, stickers, photo books, framed collage prints, tiny books, greeting cards, calendars, photo booth prints… and the list goes on. All you have to do is choose your product or products, and get cracking. Prices range from $10 to $85. Prinstagram is US based but offers a pretty affordable shipping rates for international orders. The deadline for Christmas orders with standard shipping is December 4th for the US and Canada and December 1st for the rest of the world. If that’s a little too soon for you, you can still place orders after those dates but it will cost you more for expedited shipping. 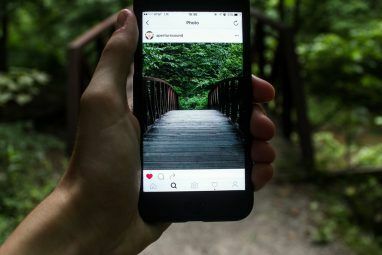 Explore Prinstagram on your computer or using their free app to find the perfect gift for almost anyone. You can also buy gift cards. In a nutshell: Almost anything you can imagine that can be printed on. Ships from US, flat international shipping rate. Zazzle offers a lot of the other products you’ll find on this list – including prints, collages, cards, and more. But Zazzle is known in particular for printing on clothing and mugs. So if you want to show off your Instagram prints everywhere you go – you can create an Instagram tank or a cool mug. You can also jazz up your home with an Instagram pillow or fleece blanket. Zazzle also makes it easy to create custom products for your electronics: laptop and phone cases as well as personalized Bluetooth speakers. If you’re buying a Christmas present, be sure to check out the shipping deadlines for each product to see if you can get in time. The shipping deadlines page will also let you know how much you can expect to pay for shipping. Shipping from Zazzle is not cheap. Standard US shipping for one mug from Zazzle will set you back close to $15. In a nutshell: Clothing, home decor, mugs, and phone and laptop cases, along with prints, and more. Ships worldwide with region-specific sites. Casetify’s product list that you can customize includes iPhone and Samsung cases, iPad and MacBook cover, and even Apple Watch bands. Just connect your Instagram account to Casetify and you can drag and drop Instagram images on to the product that you’re customizing. Standard shipping is free worldwide and can take 7 to 15 days depending on your location. If you’re cutting it close for your Christmas gifts, expedited shipping can get you your item in three to five days. Apple Watch bands in particular, however, will take anywhere from 14 to 23 business days depending on shipping speed and location. In a nutshell: Phone and laptop covers, and Apple Watch straps. Ships from California, and offers free worldwide shipping. While there are other services that print your Instagram photos on canvas, that just happens to be CanvasPop’s specialty. They also offer prints and pillows. One of CanvasPop’s really cool products is a triptych print on canvas. Once you approve your proof, production takes five to seven days, with an additional three to seven days for shipping. They also offer expedited shipping which takes one to three days. They offer international shipping, but the website makes it pretty impossible to figure out how much shipping will cost without going through the check out process. That said, shipping is through FedEx so it’s bound to be pricey. It is unclear how the many options to choose from while selecting your canvas may change shipping cost. We found that standard shipping on a 10″x10″ canvas costs $14 while expedited shipping is $39. Stitcha offers tote bags, scarves, ottomans, pouches, and a lot more, but they don’t come cheap. (Who said hipstering ever did?) The tote bag can fit up to 32 different photos on it and at 16 x 16 inches will set you back $62. Stitcha’s infinity scarf is $84, while an Instagram ottoman will set you back $148. Stitcha’s products are made in Washington DC and they take 7 to 10 business days to produce. Domestic and international shipping is done through FedEx. Shipping prices vary based on product and destination and can cost anywhere from $12 to $16 for US shipping and $20 to $120 internationally. In a nutshell: Scarves, totebags, and ottomans. Ships from Washington DC worldwide. Using a free iOS or Android app, Postagram users can create and send Instagram postcards right from their phones. The cards are just $1.99 when sent in the US or $2.99 when sent internationally, with the cost of the card and shipping rolled into the price. Postcards are printed within 24 hours of our order being placed and will ship the following day. Shipping in the US takes three to six business days, while international shipping can take anywhere from one to six weeks. In a nutshell: Postcards created from a free app. Ships internationally. Fox Print is another option for ordering prints and stickers, but they caught our eye because they also offer Instagram magnets and Christmas ornaments. Each magnet is 2.5 by 2.5 inches and will set you back $2 each. The matte finish and rounded corners are perfect for filter heavy Instagram photos, and while adding a bit of Hipster flair to your kitchen, they’ll also serve a purpose. The magnets can hold up to eight sheets of paper. The wood Christmas ornaments [No Longer Available] cater specifically to newlyweds celebrating their first Christmas as a married couple and cost $16.95 for a set of six. And unfortunately, you can only use one picture for the entire set. In a nutshell: Instagram mini magnets, prints, books, and ornaments. Ships from California, and offers reasonable international shipping for smaller packages. Instagram prints are everywhere and on everything. There are many more things you can get this holiday season, if you just look in the right places. Baking for Good can get you Instagram sugar cookies if you’re in the US. On Printer’s Studio you’ll find everything from personalized poker chips to clocks. They aren’t launching until next year, but you might also want to keep keep an eye out for JewelPix for personalized photo jewelry. Are you tempted? Will you get Instagram-themed or any kind of photo-themed gifts for your loved one this year? Is there an original Instagram gift we missed? Tell us in the comments. 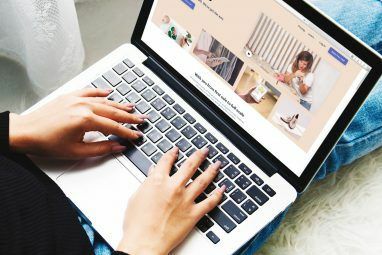 Explore more about: Christmas, Instagram, Online Shopping.